This is part 5 of my Friday Flash serial. I have now renamed all previous parts so they are easier to read in order. Jo and Cam are now affectionately known as the Friday Girls and their adventure will be ongoing for as long as they are having fun. You can find there rest of their adventures here. Her yes is loud and clear, and with an albeit very minimal safety talk covered, I feel like I can proceed with the somewhat unexpected turn our day has taken. I position her on the bed, knees spread, head down, hands resting beside her face. She looks glorious, and very accessible, which is always a bonus. My hands roam freely across her body, every now and again I feel her body tense in anticipation of what I might do, she is clearly a little nervous, but the overwhelming feeling in the room is one of desire. Part of me wants to slide my fingers inside and make her come until she begs me to stop, but this isn’t about pleasure, this is about punishment. She needs to know what happens to bratty girls who goad and bait, especially ones who do it so brazenly. She wiggles her bum in my direction and it is clear that she is familiar with this game. I am still glad I gave her the safeword, but I deeply suspected this will not be her first spanking. I can’t wait to give her pale arse a nice rosy hue. As the first of many blows strikes her bare cheeks. She lets out a small squeak, and it is unmistakably one of delight. I settle into a rhythm, faster than I would have expected, being a little out of practice, and soon her soft hum of pleasure and the ‘thwack, thwack, thwack’ of hand on arse are the only noises to be heard. She is still relaxed and seemingly a little spacey when I come to from my own revery, her bottom is beyond rosy; bright red with flecks of purple bruising beginning to show and I know for sure that my hand with be blessed with similar bruising tomorrow. I will never learn that my hand does not love spanking as much as my Sadistic heart does. I slow my efforts down until the spanking has stopped, and she moans, not in pleasure but in frustration that the attention I was lavishing on her has ended. She giggles delightfully, her toes wiggle too and my heart soars a knowing that she has such a reaction to hearing ‘good girl’ and I know I love saying them. I feel awful. Bruising her, before discussing how we each feel on the matter. Her response calms me though. 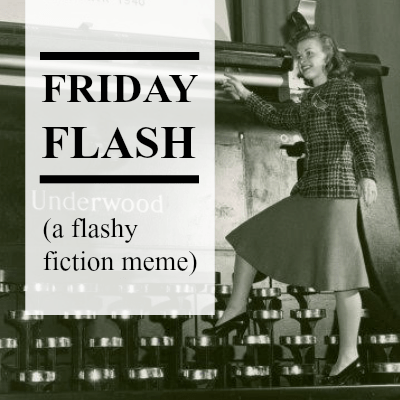 AS always this week piece of flash fiction was inspired by The Friday Flash meme. 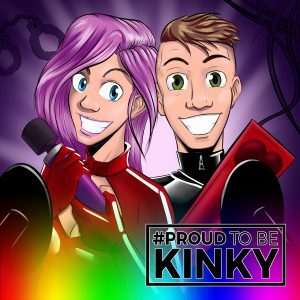 Please do give the other writing in the link up a read and perhaps you might want to get involved yourself. I finally got around to reading all of these together, for the first time. I’m both intrigued and aroused by the story and where I hope it’s heading. This is amazing flash fiction, and I’m hooked on the story.